The average American nuclear family needs a little extra help sending a son or daughter off to school. Surely, the wealthy family here or there can simply write up a $30,000 to $100,000 dollar check to cover the cost of the public or private colleges and universities, but the majority of people do not have such a large slush fund. This is where student loans come in. For many students and parents, the first stop is federal financial aid, scholarships, and grants. But often these do not cover the full cost of attendance, which includes not just tuition, but boarding, meals, school supplies, and other odds-and-ends costs. When federal and state financial aid options have been exhausted and they’re often exhausted before you can cover all of your bases, you should consider private loans as a way to bridge the gap. Some students may even choose to apply for private loans to cover the entire cost of attendance, the option is there. 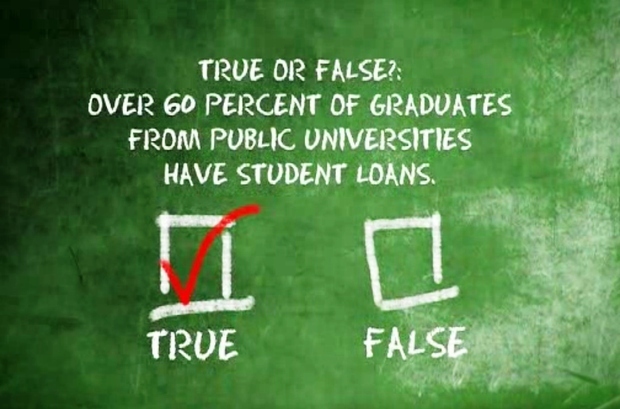 Private student loans are more lenient in their requirements than federal loans. Usually, all you’ll need is a letter of acceptance from a college or university or an unofficial transcript. Conversely, with the required Federal Application for Federal Student Aid as part of the federal loan process, you’ll need to supply a lot of additional information about yourself and your family. 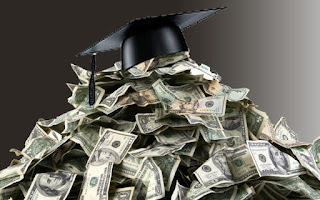 It’s true that you’ll probably have more flexible repayment options with federal loans, and you should always try to find grants and scholarships first because they do not require payback. Also, it is important to remember that some private loans do have deferment options (payment postponement), while others do not. Federal loans always have a deferment period of up to 36 months, or three years. If they are subsidized, they pay the interest accrued during the deferment period; if they are unsubsidized, you will be responsible for that interest. But the reality is the same for both federal and private loans: all loans must be repaid, regardless of the way, shape, or form. Like everything else in life, use good judgment when choosing a lender for a private student loan. You’ve done enough shopping around in your life for sports equipment; it doesn’t hurt to gather information and compare rates, terms and repayment options. The decision you make today with your private student loans are just as important as the decisions you made when choosing your school and major. Loan repayment may take decades, so you want to be sure you are with a lender you trust and that you feel is accessible and understanding of your needs. The horror stories are out there: an unwitting student slapped with high and hidden fees and interest rates. To make sure this doesn’t happen to you, just do your homework. Really, it’s that simple. If you are prepared, then you shouldn’t have to encounter any surprises. 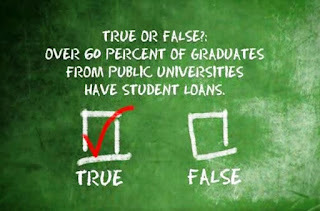 Don’t let the excitement of undergraduate or graduate school cause you to overlook these very important realities. Going to college often marks the beginning of adulthood, and there are very real adult decisions to be made starting from the very beginning. There are plenty of good loan options out there. Look up as much as you can online about the major loan companies, then call and ask to speak to a representative. If your questions still haven’t been answered, try to find someone to speak with in person and schedule an appointment. Don’t rush this, and take notes, those same spectacular notes that got you accepted into college in the first place. One benefit of private student loans comes after graduation, when you find you have all of these little bills to pay. private student loan consolidation can make things easier by having only one monthly payment with one interest rate. And, generally speaking, you’re given a six-month grace period after graduation before you have to start repayment of either a private or federal loan. Private student loans checks are usually mailed straight to the school. Remember, private loans can also be used to cover any school-related expense. This includes rent on an apartment while you’re going to school, or weekly groceries. Things like your computer, Internet bill and cell phone bill are usually considered school-related expenses, too. The bottom line is that there are plenty of ways to pay for an undergraduate or graduate degree. You don’t have to let money get in the way of your future, with so many options out there for you and students just like you. The most important thing is to remember that you worked hard to get accepted and you need to enjoy the experience of higher education. A handy and helpful student loan can help you do just that. With the current economic crisis, newly graduates either find it hard to land a job, or easily get laid off. The continuously climbing unemployment rate makes it difficult for newly grads to get the job that they want, and most often than not, ends up getting a job that is way below their par. Another burden is paying off past student loans, which usually mature six months after graduation. This can be difficult for young graduates who are struggling to establish their careers and do not have that steady job yet. Manage your money wisely, once you’re out of college, you will be faced with the harsh reality that you have to work in order to earn and to pay off your bills. You may have to live frugally until you find a good-paying job, but for the meantime, you have to make ends meet in order to allot a certain portion of your pay to your student loan repayment. Research on more information on how you could restructure your loan. Talk with your loan specialist so that they could give you some advice on how to make your repayment easier for you. Join support groups who have also struggled with private student loan debt repayment, and you will learn some tips and strategies on how to better cope with your debts. Seek help from parents and friends who can support you until you have found a steadier and better job. Above all, the best strategy to cope with the burden of paying off a private student loan is to strive hard to earn more. Take two jobs if you must, but the best thing to remember is not to let this ruin your credit standing. Manage your resources well, budget your money wisely and most of all, be responsible enough to pay off the money which helped you through college. It is your responsibility to pay it off, and you can do it by taking responsibility not only of your debt but of your life as well.